18.3 What are Real Options? 18.7 What is Monte Carlo Simulation (MCS)? Caesar Wu is a Senior Domain Specialist on Cloud Computing and Data Centers at Telstra, as well as a Principle Research Fellow, at The University of Melbourne, Australia. He has over 18 years’ of experience in ICT architecture, solution design, services delivery and operation management, IT data center lifecycle and transformation. For the past five years he has been responsible for cost modeling of all Telstra cloud computing projects, for both enterprise and government clients, and designed and managed eight data centers in Australia. 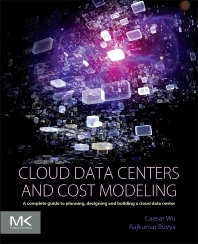 In 2012, Wu supervised three University of Melbourne PhD students in cloud computing strategic investment decision making.